The Karcher SG4/4 is a compact and robust steam cleaner which offers outstanding power and certified disinfection*. 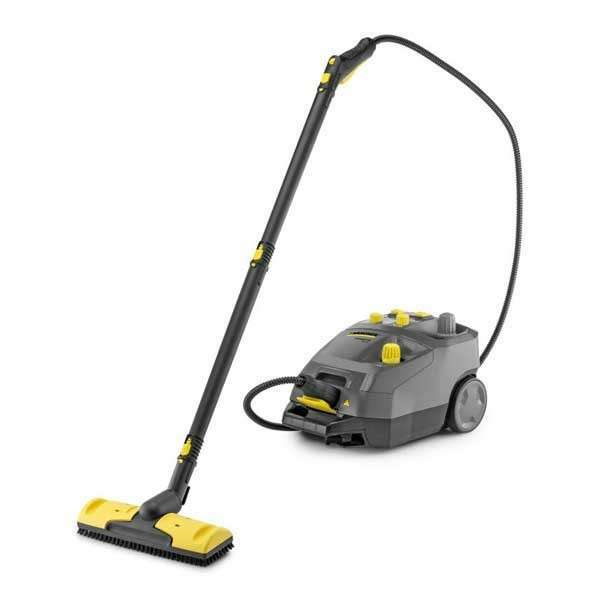 Optimal cleaning effect is achieved thanks to 4-bar steam pressure. 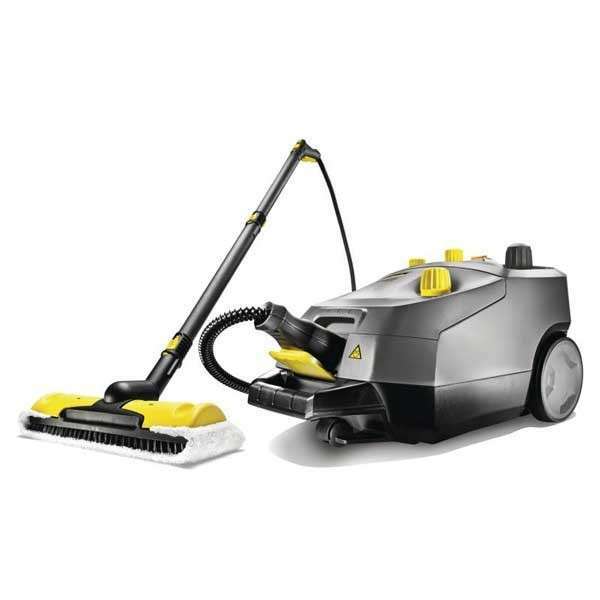 Continuously variable steam volume control and the VapoHydro function (continuous regulation of steam saturation) mean that the machine can be adapted perfectly to any cleaning task. 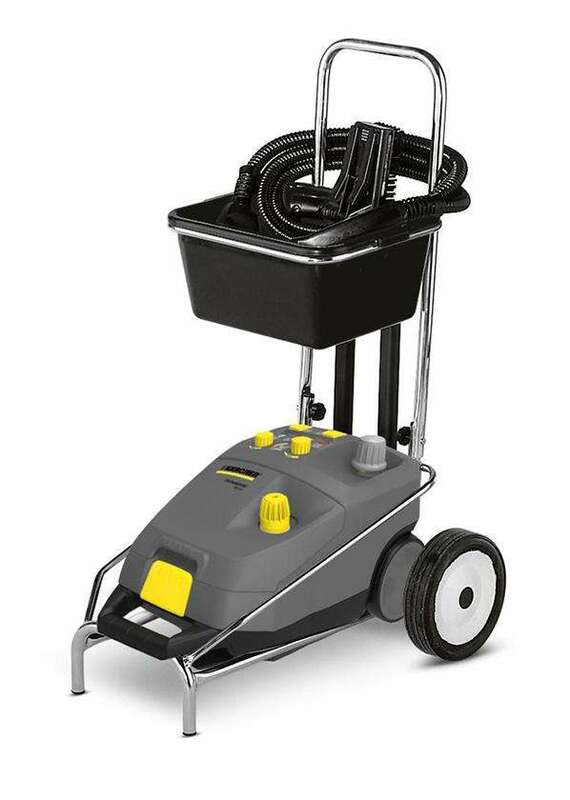 The 2-tank system can be refilled at any time, and ensures a rapid heat-up time as well as uninterrupted operation. 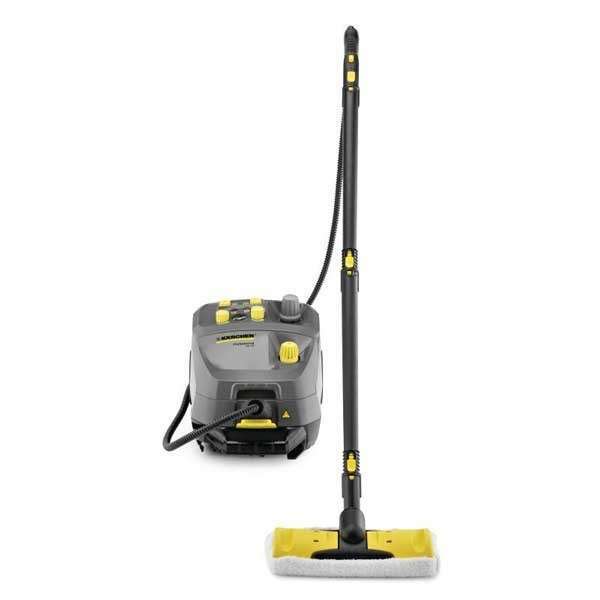 The temperature indicator also helps to ensure optimal cleaning results. 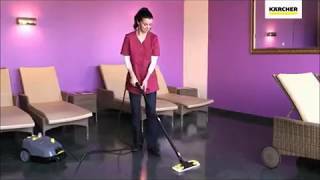 The machine is extremely versatile and cleans without the use of chemicals. 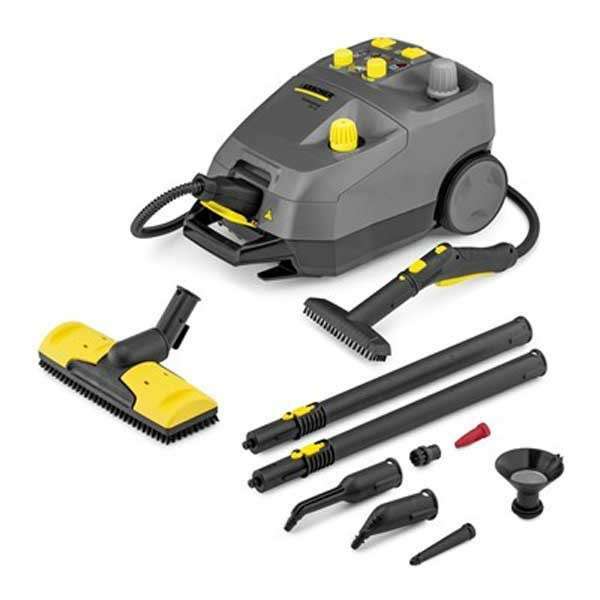 The extensive equipment package includes two floor nozzles (for abrasive and hygienic cleaning), an integrated storage compartment for accessories, an integrated cord hook and a pipe intake for space-saving storage. 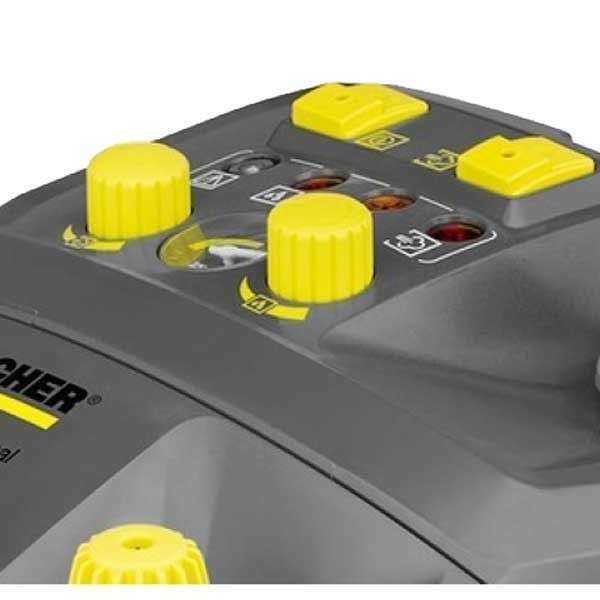 The SG4/4 replaces the Karcher DE4002.